Added on January 7, 2014 by Annie Ling. This Saturday, January 11th is National Human Trafficking Awareness Day. The Center for Remembering & Sharing (a community center located in the East Village in NYC that presents healing, arts and cultural programs) in partnership with Think Act Change NYC will be hosting a free evening of film screenings and a panel discussion on what trafficking looks like today domestically and abroad. In conjunction with the event, a selection of images and stories from my project AWHERENESS on human trafficking in Romania and Moldova will be installed in the lobby for the month. 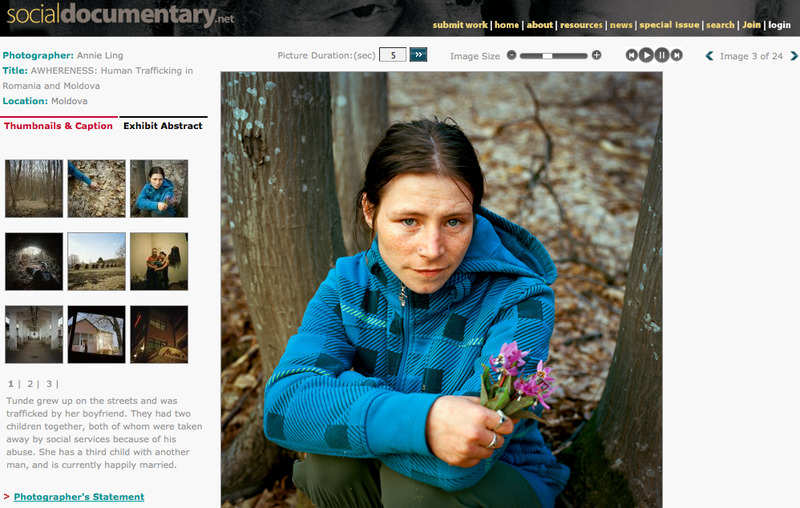 Please take this opportunity and direct your attention to SocialDocumentary.net which highlights work by photographers around the world shedding light on the tragedy of trafficking.